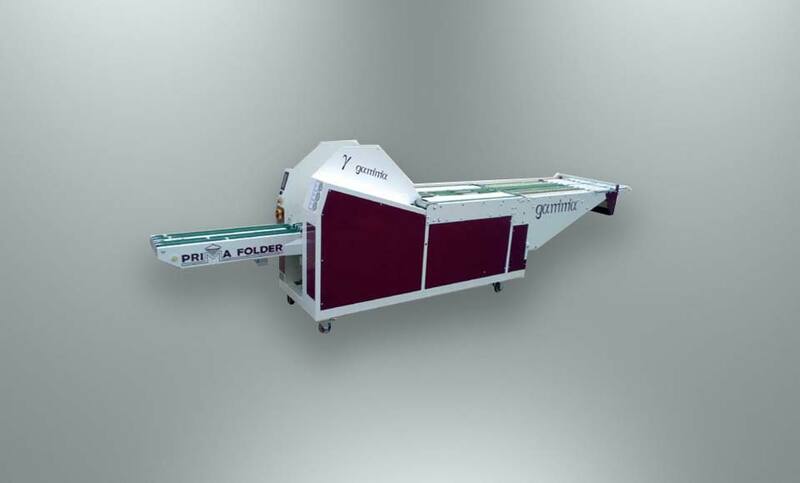 GAMMA PV is designed for folding flat household linen such as napkins, pillow-cases, towels and serviettes. The folding is achieved with the help of perforated paddles and control cylinders. 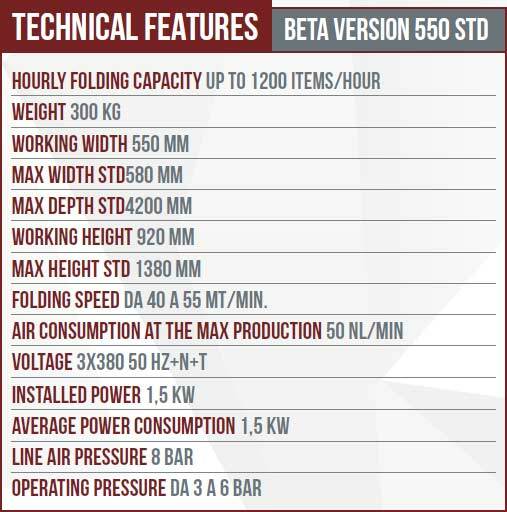 It is carried out on steady and aspirated items; therefore the format will be exact and always identical, notwithstanding the fabric type and the wearing of the conveying belts.